R’ Moshe Feinstein (in his Darash Moshe) explains that greatness is not defined by a person’s accomplishments, but rather by the person’s success in fulfilling the tasks for which Hashem equipped him and sent him to this world. Every person enters the world with unique abilities and a specific set of tasks to accomplish. Some are given tremendous ability, and are expected to achieve a great deal, while others are endowed with lesser abilities, and correspondingly, smaller tasks. But every person’s job is identical — use the skills you have been given to the utmost, to accomplish as much as you can. 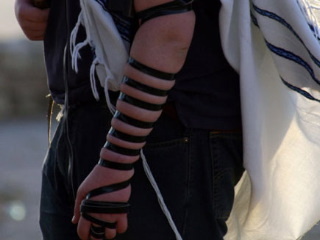 From a rationalist’s point of view it does not seem plausible to assume that the infinite, supreme Being is concerned with my putting on Tefillin every day. It is, indeed strange to believe that God should care whether a particular individual will eat leavened or unleavened bread during a particular season of the year. However, it is that paradox, namely, that the infinite God is intimately concerned with finite man and his finite deeds; that nothing is trite or irrelevant in the eyes of God, which is the very essence of the prophetic faith. You may not think the two quotes just above have much to do with one another, but bear with me. The former is addressing how each human being is placed on earth to fulfill his or her specific potential understanding that we all have different potentials, and the latter is discussing, not generally human response to God, but a Jew’s response to Hashem through performance of the mitzvot. There are many problems which we encounter in our reflections on the issue of Jewish observance. I would like to discuss briefly several of these problems, namely, the relation of observance to our understanding of the will of God; the meaning of observance to man; the regularity of worship; inwardness and the essence of religion; the relevance of the external deeds. Is Heschel using “man” and “Jewish” as interchangeable terms, or can we infer that he means that all human beings are responsible for obeying God, and then drawing out Jewish observance as distinct from God’s expectations for the rest of us? I doubt Heschel meant to include that meaning into his writing but I’m going to “force” the issue based on my particular perspective. You see, not only do I believe that each individual human being was placed here in life for a purpose that has been assigned to us by God, but I believe that God has placed the Jewish people and the Gentile nations here to fulfill specific purposes depending on which corporate body we are born into (aside from some Gentiles converting to Judaism). In other words, there are specific tasks God placed Jewish people here to perform, and we Gentiles have specific tasks we also are here to perform, all in the service of God. But those Jewish and Gentile tasks aren’t necessarily the same (though there’s probably some overlap). I know that will ruffle a few feathers out there, but I’ve said this often enough and in so many different ways, it shouldn’t really surprise anyone by now. As for the “equality” of women in Torah, a great deal depends on what you think “equality” means. In Torah, it does not mean that every member of the community is authorized to perform the identically same roles and tasks. Leviim may not perform some tasks reserved for Cohanim. Other Jews who are not in these categories may not perform the tasks reserved for priestly categories (with some rare and constrained exceptions). Men may not bear children nor are they exempt from time-critical tasks required of them (the men, not the children [:)]). Women may not perform certain tasks required specifically of men. Children are constrained from performing adult tasks and are not to be relied upon to perform adult responsibilities (though their training will include learning by doing, emulating such tasks). None of these categories are less to be valued because of what they may not do; and each is to be highly valued for what they *are* given to do. They are all equally valuable and honorable; but they are not identical in their assignments nor may they trade off their specific responsibilities, though some tasks may be shared by more than one of these categories. While the conversation was about male and female equality of roles within Jewish religious and communal space, I chose to expand the concept to include Jewish and Gentile roles within that same space and particularly within Messianic Judaism. Individuals are granted potentials to fulfill and so are people groups, namely Jewish and Gentile. After all, the Torah was given to Israel at Sinai, not all of the human beings living on the Earth. So if there were a Gentile “mixed multitude” also standing at Sinai saying as one man, “all that you have said we will do” (Exodus 19:8; 24:3), those from outside Israel either assimilated into the tribes, losing their Gentile heritage forever, or they left without so much as a “by your leave” to return to the rest of the nations, probably the lands from which they came. But what about the rest of us? I mentioned that I thought the nations had specific tasks hard-coded into our potential as well. I suppose I could start with Genesis 9 which is the basis for what in Judaism is referred to as The Seven Laws of Noah, but I can go further than that. It would seem, at least from my point of view, that the Bible presupposes a distinction in the duties human beings have to God depending on whether or not you’re Jewish. Yet we all wholeheartedly accept Micah’s words: “He has showed you, O man, what is good, and what does the Lord require of you, but to do justice, and to love kindness and to walk humbly with your God” (Micah 6:8). If we believe that there is something which God requires of man, then what is our belief if not faith in the will of God, certainty of knowing what His will demands of us? But from a “Messianic Gentile’s” perspective, what is the “certainty of knowing what His will demands of us?” The overly simplistic answer some have selected is that “one size fits all.” In other words, there are 613 commandments that Jews are obligated to perform (though many of them are in abeyance since we are without a Temple, a Levitical Priesthood, and a Sanhedrin in Israel), and God has only one standard of piety and righteousness for the whole human race, that is, the aforementioned 613 commandments, the Torah. But if we accept that, then we must accept that God first chose Israel to be a light to the nations, then at some point, “unchose” her, and instead, chose all followers of Jesus Christ (Yeshua HaMashiach). Except that’s exactly what the Christian Church believes. Christians believe that God “unchose” Israel and the Torah and then chose “the Church,” the worldwide body of believers in Jesus. Hebrew Roots generally (but not universally) believes that (again, please bear with me) God “unchose” Israel and then chose all followers of Messiah Yeshua and applied the Torah to his latter selection in the same manner as He did with His former selection (and as I’ve said before, I don’t for a split second believe that Gentile disciples actually become “non-Jewish Israel”). It is so difficult from a western egalitarian mindset to imagine that God would be so “unfair” as to have different standards and different expectations for different people groups. And yet, He is God and His will be done. Heschel calls observing the mitzvot “the Jewish way of life,” (p.105) and he takes Christian theology and specifically the writings of the Apostle Paul to task for emphasizing that a man is justified by faith apart from the Law (p.108 citing Romans 3:28), which he doesn’t consider to be a particularly Jewish attitude. The highest peak of spiritual living is not necessarily reached in rare moments of ecstasy; the highest peak lies wherever we are and may be ascended in a common deed. There can be as sublime a holiness in fulfilling a friendship, in observing dietary laws, day by day, as in uttering a prayer on the Day of Atonement. Of course James (Ya’akov or Jacob), the head of the Council of Apostles and Elders and brother to the Master was (and is) also Jewish so it stands to reason that he and Heschel might have some common insights on a Jewish response to God. One of the questions I am asked when I bring up this subject is what specifically does God expect of the Gentile in Messiah? I’ve tried to answer that question on multiple occasions over the past several years, most recently in The Duty of Messianic Gentiles and Christians to the Jews, Messianic Judaism for the Rest of Us and Gentiles Studying Torah for the Sake of Doing. But in reading Heschel another detail came to mind. While not prescribing a diet — vegetarian or otherwise — or demanding abstinence from narcotics or stimulants, Judaism is very much concerned with what and how a person ought to eat. A sacred discipline for the body is as important as bodily strength. So God isn’t concerned about what a Gentile ought to eat? 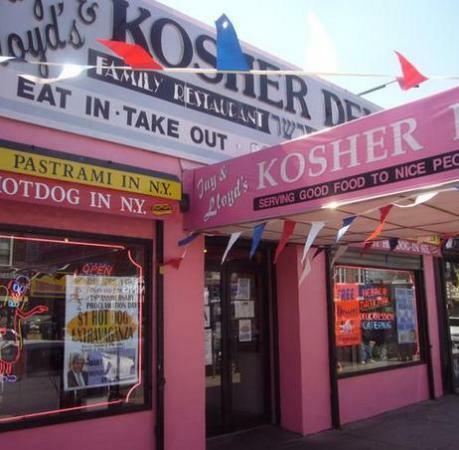 The Kosher laws aren’t exclusively a list of “health foods” and in fact, some of the dietary requirements God has for the Jewish people defy logic, but let’s say God does care what we eat (he cares about everything we do, but I’ll use this as an example). Since the Jewish people, God’s nation Israel, has been called out forever from the rest of the nations, which includes the people of the nations who have come to faith in Yeshua, His list of expectations maps to what he has “wired” into them as a set of “potentials”. That goes to every little detail in life, as Heschel alluded to above, including food. Now let’s say that God also has dietary expectations for the rest of us but that those requirements are less stringent. What if the specific examples we see Paul issuing in his epistles all come down to a general principle (or a few of them if you include the Jerusalem letter) of “eating right?” After all, Paul in his missives seems to be mainly concerned on matters of health, probably for the sake of the Gentile disciples honoring God by behavioral performance (praying, doing good deeds), which is better done if you aren’t sick. I’m limiting this to food but there’s a lot of things we can do with our bodies to either sanctify or desecrate the Name of God. What I’m getting from all this is that God’s behavioral expectations of the Jewish people are much more specific and strict than His expectations for the rest of us because that’s the role He assigned them in this life. He assigned the Gentiles a more “generic” but no less important role and thus the expectations attached to our role are more “relaxed” as reflected in the quotes from Acts 15 and Acts 21. This isn’t to say that a Gentile disciple can’t go “above and beyond” as a matter of personal conviction. After all, God allowed Jewish people to go “above and beyond” by taking a Nazarite Vow (Numbers 6). However, we are no more required to behave beyond our basic assigned requirements than a Israelite was required to undergo the Nazarite ritual (with notable exceptions such as Samson, Samuel, and John the Immerser who were all life-long Nazarim). It’s not that the Jews have the Law and the Christians (all non-Jewish believers in Messiah) have Grace. We all have Law and we all have Grace. It’s just that the “Law” for the Gentile disciple isn’t as highly specific as it is for the Jew. There’s more flexibility built into our lives than there is for the Jewish people. God expects them to uphold a higher standard and they bear a greater responsibility. Being “chosen” isn’t always a walk in the park. That’s not the end of the discussion and there are a lot more details involved, but for those, I’ll refer you to Review of the Gentile Believer’s Obligation to the Torah of Moses and The Gentile Believer’s Obligation to the Torah of Moses Revisited. I know this won’t satisfy some of you out there, but I don’t expect to be able to do so. This is just me refining my understanding of who I am as a Messianic Gentile and my duties to God as a disciple of the Master, may he come soon and in our day. I like you more and more as I’m coming to realize that, despite our disagreements, you are a loyal friend of Israel, defending not only the Jewish People but also the Rabbis and Judaism for which the Jewish People are currently being murdered around the world (May G-d defend and bless His People). That said, I will share a different perspective on the above topic–and this is my respect to you and also my personal feeling of obligation to share a different perspective. “The Torah was given in public, openly in a place free to all. For if the Torah had been given in the land of Israel, the Israelites could have said to the gentiles, ‘You have no share in it.’ But it was given in the wilderness, in public, openly in a place free to all, so that anyone wishing to accept it could come and do so,” Mekhilta of Rabbi Ishmael to Exodus 19-20. The issue before the Jerusalem Council was: from whence does covenantal salvation come? Some Pharisees said from circumcision (15:1), Peter said from grace and faith (15:9,11), and Peter also concluded that G-d had thus inducted the Gentiles into Israel (“a People for His Name”,15:14. Note that only Israel is called by His name, Deut. 14:2; Isaiah 63:19). The council concluded that Peter’s argument was correct (15:14). Given that Peter, the Prophets, and the Council deemed Messianic Gentiles to be saved by grace (contra the Pharisees of 15:1) and to belong to Israel, James used this newly-established jurisdictional authority over the Messianic Gentiles to order them to desist from pagan practices (i.e. the Fourfold Decree) that they might cling to a Judaic sphere of influence (15:21, “law of Moses”). Mr.Pyles If I may add, G-d is close to ALL human beings who call out to him in sincereness. Daniye’l 4:24 (G-d shows here that Gentiles or Nations can be forgiven immediately if they change there ways and follow HaShem). For the gentile who doesn’t feel drawn to outright conversion, G-d has already prescribed the 7 Noachide precepts, which un-packaged turns into some 60+ beautiful guides of living for the righteous Gentile before HaShem. You can also go beyond the 60, no one would hinder such passion. The Tanach is the book of life for Jew and Gentile. *The passages in the NT you quote are one aspect of Noachide btw :-). While “messianic” Gentiles may not have a purpose clearly provided to them by the “messianic” Jewish leaders, the Jewish sages and the Tanach have already established a clear and proven path for the righteous gentile or G-d fearer. Its a beautiful thing and in no way you’d be viewed as a “2nd class” citizen, you just have a different calling then that of a Jew but that callings goal leads to the G-d of Israel just like the Jew. President of the company has different duties to that of the VP but both are working for the Owner. [If that makes sense]. I’ve read in a archive blog of yours that your wife is Jewish. Well you’d be able to grow closer and connect with her and the jewish community if you embrace the richness of Noachide. Many blessings to you and your continual search for the truth within maze of the “messianic” jewish movement. I’m not sure the midrash you cite can be applied to a One Law perspective since it is very unlikely the author of said-midrash endorsed Gentile Torah observance in the manner of the Jews. In fact there are other portions in the Talmud that are very specific that Gentiles should not observe the mitzvot and even if they/we did, halachically, we are incapable of fulfilling them because we’re not Jewish. Opinions on this specifically within Messianic Judaism vary, but the general consensus as far as I see it is that a Gentile in Messiah may take on additional mitzvot as a matter of personal conviction, but it’s not a requirement. This means as far as Torah and Gentiles are concerned, of all the Judaisms, Messianic Judaism has the most liberal opinion of a non-Jew observing many of the mitzvot. That said, there is still some debate on whether or not it’s “kosher” for a Gentile to observe mitzvot that makes them appear overtly Jewish (publicly wearing a kippah [except in synagogue] and tallit katan with the tzitzit showing and so on). As far as Acts 15 goes, we’ve been through this before and we clearly have a difference of opinion. I know you’ve probably read these blog posts before, but I refer anyone interested to my six-part series Return to Jerusalem (the link leads to part 1) and The Evidence of Acts 15 to get the details about my perspective. It’s also helpful to review my understanding of the New Covenant and how in the world Gentiles can possible benefit from its blessings in this five-part series (link leads to part 1) since that’s the problem that the Council was trying to solve. I think Paul knew the answer already, but formal halachah hadn’t been issued by the Council and a firm legal opinion had to be rendered to settle these pesky disputes. All that said, I never said that “Torah” was not for the nations, just that it is applied to us in a different manner. @ברוס: Where did I say that only Jews were close to God or that God was not close to all people? All I said was that God created Jews, that is, the nation of Israel, to fulfill certain expectations that He did not assign to the people of the nations. Nor did I say that anyone had to be perfect. I also agree that repentance and forgiveness are equally available to the Jew and the Gentile. I also have no problem with Gentiles studying the Torah, Prophets, and the Writings (obviously, since I study them) and there are a great many lessons we can learn by doing so. There’s nothing in what I wrote that (in my opinion) implies that I think of Gentiles in Messiah as second-class citizens. This is often the argument leveled against me when I write such blog posts as this one. Different doesn’t mean superior or inferior, it just means different. Men and women are different from one another but those differences don’t mean men are better than women or women are better than men. Thus I don’t believe Jews are better than Gentiles or Gentiles are better than Jews and the differences in their obligations to God are just differences. I agree that I have a different calling than Jewish people. My opinion though is that there’s a difference between a Noahide and a Messianic Gentile. In Acts 10 we find the Roman Centurion Cornelius and his Gentile household to be Noahides or God-fearers, however, when they came to faith in Yeshua, suddenly, the Holy Spirit came upon them as it had come upon the Apostles in Acts 2. If Yeshua-faith made no difference, why did the Spirit only come upon these Gentiles once they came to that faith? Obviously being a God-fearer made a difference because even with that status, God took note of Cornelius’ prayers and acts of charity to the Jewish people and sent an angel to him, but the ultimate purpose was to take these Gentiles through the next step and allow them to have access to the blessings of the New Covenant (Jeremiah 31, Ezekiel 36) without the requirement of undergoing the proselyte rite and converting to Judaism. Yes my wife is Jewish and not a believer in Yeshua so we live in something of a “mixed” household. I’ve discussed with her about maybe attending some classes at Chabad with her, but she’s rather embarrassed to take her Christian husband into Jewish community. I continue to encourage and support her in attending shul and was delighted this morning to see some Hebrew books on our kitchen counter. Looks like she’s taking Hebrew classes with our daughter which I think is terrific. First let me say I apologize if my previous comment caused anger to frustration. Nor was I trying to push Noachide on you. I’m not sure if you examined exhaustively Noachide. Awesome with the Hebrew classes! Its nothing wrong with you being against gentiles studying Tanach, especially if done solo without a learned partner in hebrew (Jewish). But there are now online jewish sources for free to teach about things of Tanach and Torah, rabbis are usually available for questions via email (and you don’t have to e-mail a local rabbi btw). Daniye’l 4:24 also shows you what G-d views as how a gentile can be redeemed. (Daniye’l mentions nothing about “yeshua faith” to the king). Thanks for the clarification. These text-only communication venues sometimes lead to misunderstandings. As far as your question on Acts 2, there’s no simple answer to that question. In fact, how Gentiles are supposed to benefit from the blessings of the New Covenant and the role of the Messiah as the mediator of the New Covenant requires quite a bit of research to figure out. 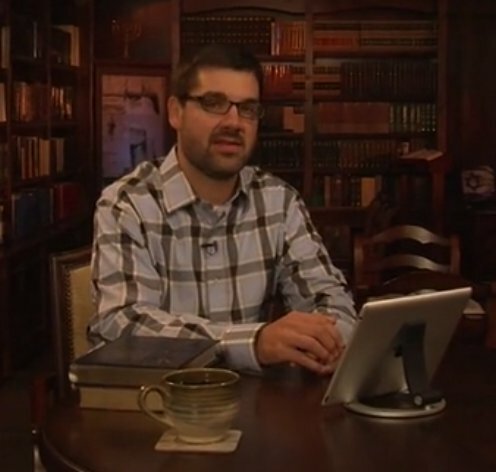 I posted some links in my reply to Peter about the New Covenant that answers part of the question. There are also a large number of reviews I did on a sermon series on the Epistle to the Hebrews that are illuminating (way too much reading since the series lasted about a year) including on Mediator of the New Covenant that will help explain my point of view. By the way, I don’t require that people agree with my perspective on things, although some of my readers do. I’m just trying to show you what I believe and why. Nothing against you james. Again nothing against you. It’s sad 😦 to see how christianity (messianic is in that bunch) has taken a jewish rabbi and have attempted to spread confusion and un-supportive (or taken out of context scriptures) to deface the Jews and the Jewish scriptures. Most christians have to resort to Midrash-ing just to explain the man, when any jew who understands torah can clearly understand what the man was trying to say or convey. and the passages that seem anti-Semitic, probably weren’t even said by him. Paul was one slick guy. But even his actions have worked for G-ds good. But the one good thing about christianity is that it prepares the world for the one true G-d and the ideas and jewish discover of there faith will lead gentiles to b’nei Noach and Jews back to the true faithfulness of G-d (which tells us no mediator or son will redeem the Jewish people). I can hardly be compared to the original James the Just, but thanks for the complement. To my way of thinking, that encapsulates the human condition in relation to God and the Bible to a tee. We study not to find out how to be right in these little debates but to encounter the mind of God. It’s our own fault if we find we are in unfamiliar territory. But if we accept that, then we must accept that God first chose Israel to be a light to the nations, then at some point, “unchose” her, and instead, chose all followers of Jesus Christ (Yeshua HaMashiach). I think you are missing the point, and you are not looking to the conclusion. What is the purpose of being a light to the nations? If the goal is to spread the knowledge of God to the nations, then once they (the nations), know the knowledge of God, does Israel’s role cease to exist? One day all will know the Lord, from the least to the greatest. Let’s apply your argument. If a gentile knows the Lord, and then spreads the light to his gentile brothers, is he not replacing Israel’s job?, should he sit back and wait for Israel to do it?, since that is not what he is called to do? Ridiculous right? Well then, so is your logic, because that is exactly how we would have to render it, based on your example, we could say that Yeshua only gave the commandment to His Jewish disciples in Matthew 28, which is correct, thus gentiles are not commanded to make disciples of the nations, if this were the case, none of us would know Yeshua today, another ridiculous conclusion, but this is what you are proposing. If the goal of the Torah, only resides within Israel, given at Mount Sinai, why is it prophesied to go to the nations (Micah 4:2), whether before or after the Messianic Kingdom? We have a very specific example as seen in Zech 14, where the nations are held to the responsibility of the Law of Moses, concerning Sukkot, which contradicts your very argument. It is not about God unchoosing Israel, it is about Israel’s fulfilled purpose, which is yet to be fulfilled, and is concluded in the nations serving the God of Israel and keeping His ways, looking like Israel, as intended, a good disciple will look like his master, the example, the light, the leader. “The LORD will surely separate me from his people”; Which is in essence, exactly what you are saying, because, in order for such a strong distinction to exist as you, you must separate the foreigners from his people. Another issue to address here, is the “what if” points you made, concerning gentile observance of Israel’s covenant. You have no idea what gentiles who trust in Messiah should and should not do, you just have a bunch of “would if’s”. Which makes a gentiles relationship to God very messy and confusing, I know you have stated elsewhere, that this was the fault of Paul or the Apostles. I don’t think that God intended gentiles, who would seek Him, to be left in the dark and I think Isaiah 56 shows this clearly. Given the idea and purpose of Israel, in bringing the nations to serve the God of Israel, it would make more since that this very purpose envisioned the nations learning His ways, which is at least, a more logical conclusion than what you are offering. Having a separate law for the gentiles who serve God, which is unknown to anyone, doesn’t allow for much serving, instead just confusion. James, you say that Heschel takes the writings of Paul to task but therein (according to you) seems to miss what James (Jaacov) said. Paul is a different person from the so-called James. So, you imply that they are harmonious. However, you have previously expressed agreement with a recent book that said Paul and Jaacov took divergent paths (not only in terms of where they walked, but in regard to teaching and intent). Apparent to me is the need to resolve one’s personal outlook as to which is true. Of course, it won’t do to just “pick” a stance if one is not fairly sure of it. Worse is to pick one one day here and there and another on other days; to simply go forward in writing some time as if one thing were true but as if the other were so as the mood strikes. If one really isn’t convinced then this surely can be addressed and acknowledved. But there are ways to do this that aren’t so haphazard. I, so far, see Paul as harmonious with “James” (I say “so far” even though this is somewhat of a change from what I have been aware of in the past, Christian adherence to there being conflict between them). But, given the history of Christianity as well as still current streams of teaching (including a book you reviewed), a person/scholar might not be “missing” what is put forward by James when not seeing the possible meaning of Paul in light of that writing.